Motorized Design- Transforming Bar — TRANSFORMING DESIGNS INC. The Hidden Motorized Bar- Turn your front room into a bar in a snap! The Motorized Bar has the capacity to store your Complete array of Drinks and Accessories in a completely hidden set of shelving while the unit is closed. While in the closed position the unit is securely locked keeping all your value liqueurs safe and out of reach of children. 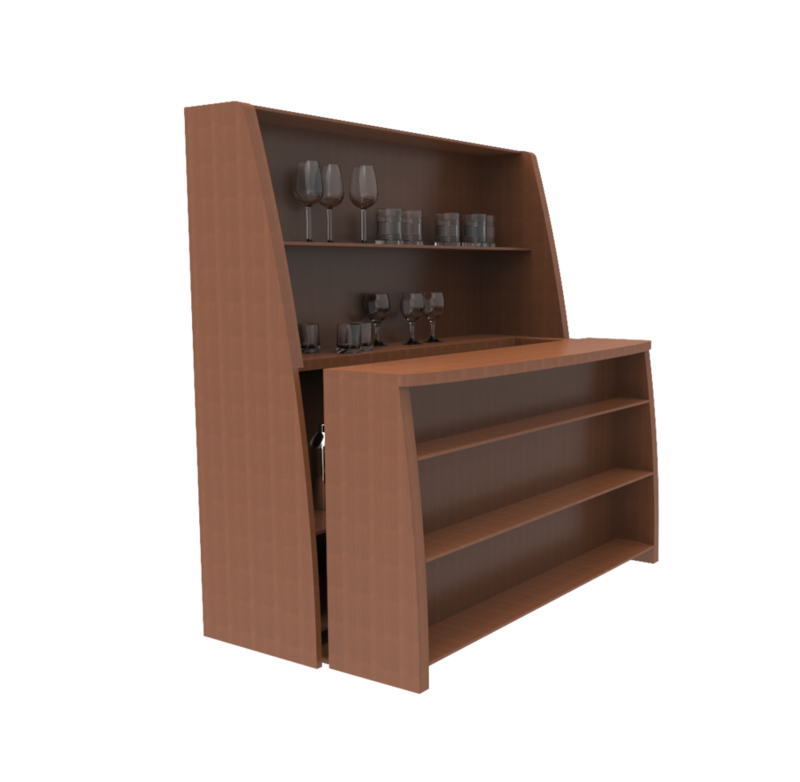 With a simple remote control switch your normal cabinet instantly transforms into a fully furnished bar ready to serve! This cabinet was designed with the feedback of our customers in mind. Designing and manufacturing Automated Hidden Bars for over 10 years, Transforming Designs builds all the components in-house, making sure they are truly 100% functional and working with exceptional performance. Game Anywhere® is a trademark of Transforming Designs Inc.